Things are changing for Caterham. In F1 as in anything else, people begin to notice when promises exceed delivery on a persistent basis. Excuses wear thin after a while. Awkward questions start to get asked. That's where the Caterham is at now. For this team, the honeymoon is over. Of course, it wasn't always this way. For a lot of the team's existence its image was akin to that of a cuddly toy. It was by far the most convincing of the three outfits that arrived in the sport for the start of the 2010 season. It received much kudos for rising from scratch in a matter of months before its race debut. Team Principal Tony Fernandes was a refreshingly open and engaging figure in the paddock. It even for a time ran with the evocative Lotus name, and was based near the famous old team's Hethel headquarters. Its cars weren't on the pace of the midfield, or even close to it, but that would come with time, right? But now, as the team enters season number four of its existence, the tide of perception is turning. For all of Caterham's smart media management and bold proclamations that the corner was about to be turned, that it was about to make the seismic step into the pack and into points-scoring positions, somehow it still seems barely further forward from where it's always been. There might have been progress relative to the cars ahead over time, but if there has been it is glacial. The gap to F1's peleton still seems gaping, and by Tony Fernandes's own standards set in advance this represents failure (indeed, Mike Gascoyne said that if it hadn't joined the midfield by 2012 then the team will have 'cocked it up'). Unlike the cases of its fellow (not so) new teams in F1, it is hard to pinpoint what exactly Caterham is not doing right. On the face of it, everything is being done by the book: last year it moved to Leafield in the heart of F1's 'silicon valley', it has its own design office and aero programme, it has the same engine and gearbox as the champion constructor (which dictates a similar rear end of the car), its number of staff is creeping up on the sort of numbers as at the midfield teams, it has many fine brains in the team such as that of Mark Smith, it has a strong CFD and IT infrastructure, and it shares a wind tunnel with Williams. And all of this for the most part appeared to be backed by a substantial budget and investment provided by Fernandes. Yet somehow it all hasn't transferred to where it really matters: lap times and results. Last year it was more of the same: many bold predictions, few signs of progress. The gap to the midfield and to the leaders' pace remained almost in its entirety of previously. At the outset of the campaign Caterham thought the restriction of exhaust blown diffusers, something it had never mastered, would give it a leg up, but many of its rivals still managed to derive performance in this area even within the new regulations and Caterham again didn't get on top of it. Its CFD was unable to simulate it and simulation of exhaust flow was not available in the Williams wind tunnel until late in the year. As in previous years the good days - such as Heikki Kovalainen's brave run ahead of Jenson Button at Monaco - owed more to the misfortunes of others than to the Caterhams' own pace. Its Valencia performance, wherein Kovalainen got into the second part of qualifying and Vitaly Petrov ran in the top ten until the late laps, hinted at an overdue breakthrough, but it was scuppered almost immediately by a dud technical upgrade brought to Silverstone. The team even very nearly ended up falling below its par score of tenth place in the constructors' standings, as it was ambushed by Timo Glock's 12th place in Singapore which moved Marussia ahead. Only in the dying laps of the final round, when Petrov snatched 11th place from Charles Pic as they were being lapped by Fernando Alonso, did Caterham claim the position back. The upheaval of its Leafield factory move didn't help matters in 2012, but not for the first time it all seemed a tremendous disappointment for the team. And it doesn't get easier for 2013, as the possibility is that it might even have to relinquish its meagre claim to being quicker than the others that debuted in the sport at the same time, which with HRT dropped out would send the team to the very back. That the popular and quick Heikki Kovalainen along with Vitaly Petrov, whose rubles have run dry, have been discarded by the team in preference to two guys who bring money betrays a tightening of the Fernandes cash supply. And Marussia who joined the sport at the same time as Caterham is showing signs of getting its act together, acquiring KERS and appearing to have built a decent machine for this season. It further raises the possibility that Caterham's outshining of the teams of similar vintage before now owed as much to its rivals underperforming than anything special it was doing itself. Worst of all, and despite the regulations' fundamentals being constant in the team's entire F1 lifespan, the new Caterham CT03 appears conspicuously bad. It has looked rather evil-handling in pre-season testing, unable to carry much speed into corners or to get the power down effectively on corner exits. And the team is likely stuck with it for now as no upgrade is due until the start of the European season. Of course, any team can come up with a bad car (Ferrari did last year after all), but the accumulative impact of Caterham's constant underpeformance compared with its resources, investment and ambition is troubling. It's an outfit that appears to get it wrong persistently, habitually disappoint. It gives rise to there being something fundamentally amiss there. 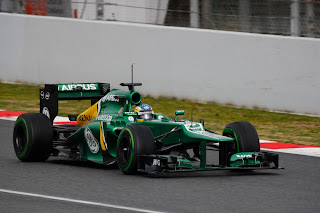 At least for this year there's a new Team Principal in place in Cyril Abiteboul (Fernandes has taken a step into the backgorund), and he's delivered a welcome shot of sobriety, stating that the squad needs to rein back on its wild promises, and that it's not realistic for Caterham to expect a leap into the midfield in 2013. Still, the suspicion is that the team's redemption will be a slow process. And if things don't show signs of improving and quickly you wonder if the point that Fernandes chooses to pull the plug is all that far away. The number two drive at Marussia seemed to be becoming one of F1's graveyard shifts. You'd be there in large part because of cash you brought, you could normally rely on Timo Glock across the garage to blow you away on pace, and job security stretched to one year tops, before F1 turned its back on you. When Charles Pic become the latest to occupy the role for 2012 few expected things to change. There appeared little in his achievements in moving up through the ranks to indicate otherwise, and he like those who came before brought money with him, in his case thanks to a grandfather with a lucrative family business. But it all rather shows up the predictive power of the F1 observer as, what do you know, Pic only was a quiet revelation last year. But perhaps we should have known better. Not only does Pic come from rich racing stock - former F1 driver Eric Bernard is his godfather, Olivier Panis is Pic's mentor, and Pic's afore-mentioned grandfather sponsored Bernard and Panis when they were in F3 - but he arrived off the back of a season in GP2 in which he was the highest average qualifier, and he would have finished higher than his eventual fourth in the standings were it not for mechanical failures. Pic impressed his Marussia team from the outset. In Melbourne he faced his debut race weekend with literally only a few days' testing of last year's car under his belt, but was quick both on full tanks and in qualifying trim immediately, as well as avoided rookie errors. The upward curve continued, and by the Spanish round Pic had outqualified Glock genuinely. And while as we might have expected Glock got the upper hand over the season, Pic kept him honest consistently, outqualified him on six occasions and was able to keep up with him in many races. All a far cry from the experiences of Glock's previous team mates there. And Pic's 2012 high tide water mark came just before the summer break. In Germany and in Hungary Pic left Glock behind in both qualifying and the race, and set midfield-aping lap times in the latter race. These, particularly the Hungarian effort, turned many a head, as well as resulted in Glock showing outward annoyance. And all the while Pic was remarkably safe too, with very few errors for someone of his experience (though the odd one crept in, such as passing under red flags in a Singapore practice session, though it seems carping to draw too much attention to them). Thus at Caterham Pic will be looking to build on his promising debut campaign in which he won many friends. The main potential problem for him now though is in his choice of career move. No doubt at the point when he signed for Caterham it seemed a step up from Marussia, at least marginally. But given the teams' respective pre-seasons you wonder if 2013 might be one of frustration at Leafield, and that Pic's reputation may run the risk of suffering by association. One hopes not, as right now we have a promising young F1 talent on our hands here. 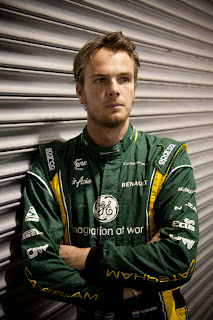 Giedo van der Garde is one of five new boys lining up on the Melbourne grid in 2013, though in his case he's not exactly new. He's been stalking the lands just the other side of F1's borders for a number of years now, indeed was a test driver for Spyker as long ago as 2007, though was refused permission to be its Friday tester due to being denied a superlicence. And now at 27 years of age he's a positively elderly debutant in the youth-obsessed F1 drivers' market. No one seems under any illusions as to how van der Garde got his F1 break for 2013. Even after rescuing tenth place in the constructors' standings and the prize money that comes with it, Caterham was struggling to balance its books. Heikki Kovalainen, who took money rather than provided it, and Vitaly Petrov, whose pool of money dried up, were dropped as a consequence. Van der Garde who does bring cash (via his billionire father-in-law Marcel Boekhoorn, a key figure in the McGregor fashion group who also just so happen to sponsor the team) was brought in in their stead. The figure of £20m coming with him has been quoted. And Caterham has done its sums presumably, calculating that even with the few tenths of a second per lap lost with the driver switch this all leaves it up at the bottom line. Van der Garde's career progress since the Spyker days has been patchy at best. It features two years in Formula Renault 3.5 (where he won a title, beating among others Charles Pic no less) and then four campaigns in GP2. He won five GP2 races in that time, though three of those were back in the dim past of 2009, and after that he endured two mediocre years at the Addax team, wherein Sergio Perez clearly and then Pic got the better of him within his intra team battles. Last year was better for him though, with two more wins and sixth place in the drivers' table. Yet four stabs at the GP2 crown without ever coming close to claiming it isn't something van der Garde will be proud of. But at least van der Garde will be stepping into familiar surroundings this year, with him enjoying six Friday practice sessions for Caterham last year as well as test days, and he comes from the Caterham GP2 team. And these plus his extended grounding more generally should mean that he's got experience on his side, and should be less prone to boo boos than most of the other debutants, and more prone to bringing the car to the finish safely. Indeed, last year in GP2 he was a more consistent finisher than most. There's nothing demonstrated in his career so far to suggest he'll be an Alonso, or even a Kovalainen, but equally there's nothing to suggest that he'll be an idiot behind the wheel of an F1 car either. And of course we've seen plenty of times that drivers without much of a dazzling junior record can pleasantly surprise us when given their chance in F1. 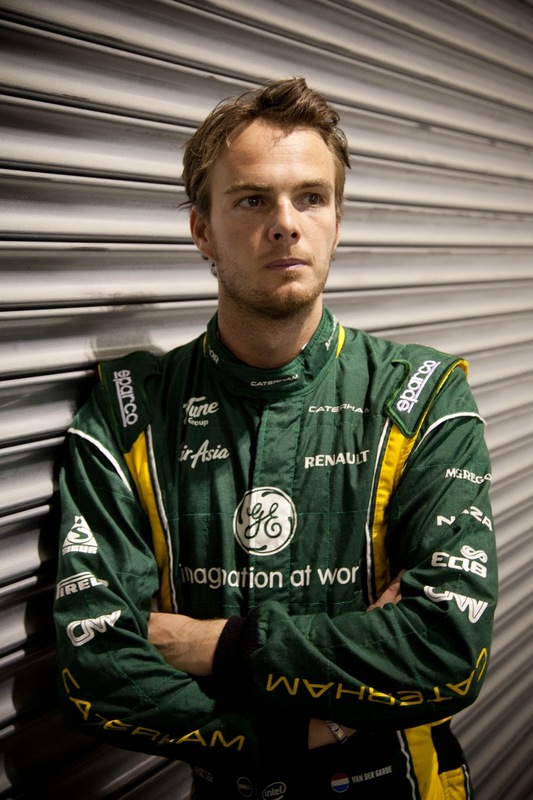 Indeed, for inspiration van der Garde only needs to look to the other side of the Caterham garage. The most fabulous time for each and every couple is the time after their marriage. This is the time of the honeymoon where each and every body likes to spend their days along with each other. This days can be made a remarkable and remember able one in their life time. Things are changing for Caterham in F1 people begin to notice when promises exceed delivery on a persistent basis. http://nepaltourism.org/trekking/Excuses wear thin after a while. Awkward questions start to get asked. Formula One is the highest class of single-seater auto racing approved by the FIA. The cars used in the race is the fastest one. It needs a skilled professional to handle it. What is right and what is wrong on team orders?